Lately, I've been doing a lot of focused posts like album reviews and new release type stuff. Sometimes it's good to just say "remember this song? It's really freaking awesome." Joe Strummer's "All In A Day" is one of those songs for me. It's off of Joe's posthumous Streetcore album from 2003 and it hearkens back to his innovative punk days in The Clash. Nashville's been sprinting into Spring lately and this is one of those Sun up, windows down kinda songs that begs for an open interstate. 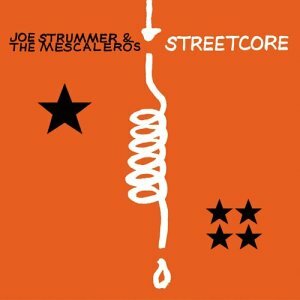 Eventhough Streetcore was released a couple years after Joe passed away, hearing him sing with such attitude and, dare I say, happiness made this album quite a eulogy for him. If you need a killer album to get you through spring/summer, Streetcore works perfectly. It's even got a Bob Marley cover on it!